With Conor McGregor vs. Nate Diaz II and Jose Aldo vs. Frankie Edgar II serving as UFC 200‘s featured bouts, the rest of the show’s lineup is starting to take shape. On this week’s episode of “UFC Tonight,” it was announced that former heavyweight champion Cain Velasquez (pictured) will make his return to action against Travis Browne. Velasquez was slated to rematch champ Fabricio Werdum at UFC 196, but Velasquez was forced to withdraw at the last second with a back injury. Now that Velasquez’s surgically-repaired back is good to go, the 33-year-old is looking to take back what he believes is his. Unfortunately for Velasquez, Werdum has been assigned to Stipe Miocic at UFC 198 so he’ll have to settle for Browne in the meantime. 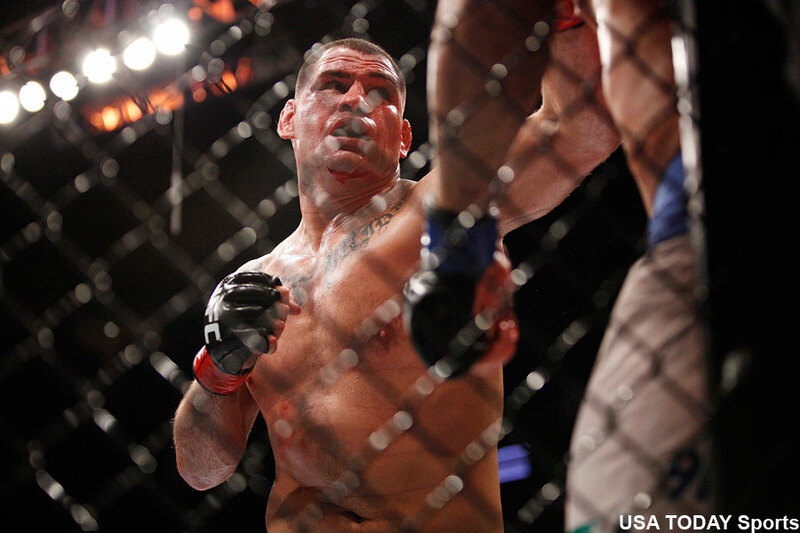 Velasquez hasn’t been seen since getting submitted by Werdum to lose his heavyweight crown in June. Browne is looking to build off January’s highly controversial TKO victory over Matt Mitrione. Browne connected on multiple accidental eye pokes throughout their three round affair, which ultimately caused Mitrione to suffer blurred vision. Browne has alternated between wins and losses over his past five bouts. “Mr. Ronda Rousey” hasn’t recorded consecutive wins since beating Josh Barnett in December 2013 after knocking out Alistair Overeem. In addition to the pivotal heavyweight shootout, a lightweight battle between veterans Joe Lauzon and Diego Sanchez, as well as Takanori Gomi versus Jim Miller was added to the roster. T-Mobile Arena in Las Vegas, Nevada hosts the July 9 extravaganza.